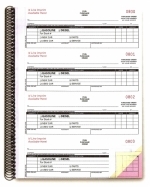 These coil-bound Purchase Order Books include a heavy stock cover to prevent write-through. The best system to control fuel purchases in the dealership. Control copy remains in the book. Each page is 3 part snap-out with 200 per book. Four per page, each transaction record is 2 3/4in x 7 1/2in. Books are carbonless, and pages are white with canary and pink copies. Copies print in black ink. Book size is 8 ½in x 11in. 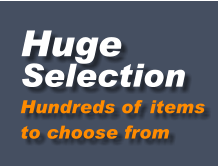 Priced and packaged each book.